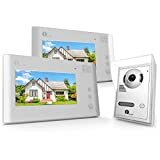 1byone Video Doorphone 2-Wires Video Intercom System 7-Inch Color Indoor Monitor and HD camera Outdoor Video doorbell With 49ft Cable, 2 Indoor Monitors + 1 Outdoor Video doorbell. 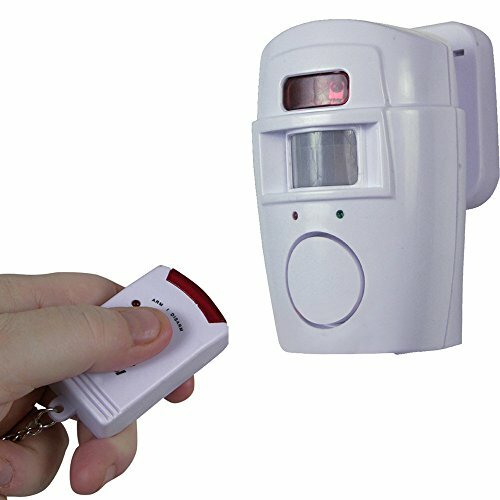 Features:You can monitor environment of your house via mobile phone whether you at home or not.The doorbell has alarm and mobile monitoring function, protect your home safety effectively, reduce your worried.Support night vision function, can clearly distinguish visitors. (Night visibility up to 3 meters )Can support 5 devices connecting at same time.You can help your family and friends open the door when you in other places.High technology, remote control, excellent performance and high reliability.Clear night-viewing, 24 hours monitoring, calling, speaking and unlocking remote controlling, etc.Can take photos by itself and you can see them from your phone.Support 64GB TF Card, `you can watch video playback anytime.With a wireless indoor reminding device 433MHz Indoor Chime, can help you remind visitors.Surveillance camera send alert automaticly.See,hear and talk to visitor on smartphone, any where, any time.Note:433MHz Indoor Chime and Door Bell must connect wireless to work.Only for Android 4.0 IOS 7.0 or Above smartphone.